Oh my Goodness Min, This is adorable. Thank you so much. Oh my. I seen santas sleigh and the reindeer and automatically put it on my to buy list. Then I read that it is free. I am in heaven. Thank you so much. This is such an adorable kit! That sleigh and reindeer are just awesome – I LOVE the whole kit. Thank you so much for sharing. Merry Christmas! This is so cute and a full-size kit; a very generous freebie! Thank you! This is a huge and gorgeous gift. I absolutely love the team of reindeer. Fabulous. Thank you so much. Have a wonderful ho-ho-holiday season. Thanks for your Carol Kit – I look forward to this event every year! Happy Holidays!! This is so cute!!! Thank you!! That bird is sooooo especially adorable! Oh, wow… Lovely kit. Thank you for all the things you are sharing with us today. This is just adorable, thank you very much! Thanks so much! Merry Christmas and Happy New Year to you and yours! Thank you for an awesome kit!! You are very generous! What a great kit – you’ve put such a lot of work into this. Thank you so much! Have a great Christmas! Oh my Gosh! You are so generous and the kit is so cute! Thanks for such a big “mini” kit! May your family have a very Merry Christmas! Such a great gift! Wow, Min, you’ve out done yourself. Thanks for the awesome kit. I’ll have to make a page or two really fast. 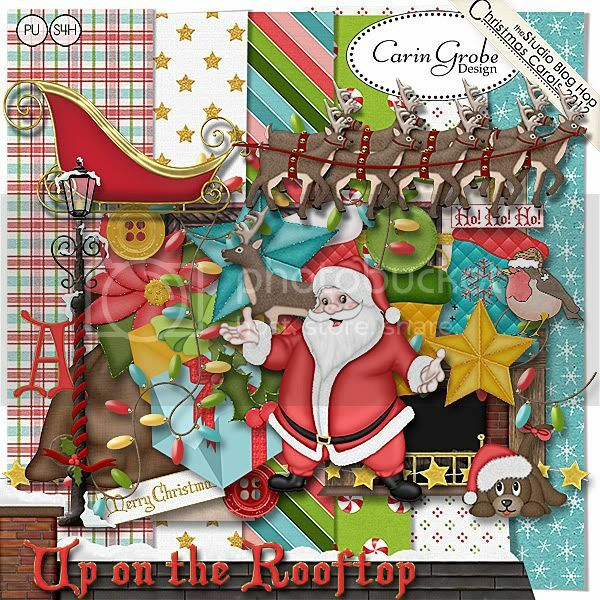 Min – wonderful fun Christmas kit 🙂 Thank you so much for sharing this full kit. Merry Christmas to you and your family. Thanks so much for the Christmas kit & loads of goodies! Very cute! Thank you very much. This is fantastic!! Thank you! wow! You are all so generous with your freebies! Thanks so much for sharing! So cute – thank you for your generousity! Thank you so much! This kit is great! I love fat bird! WOWZERS–What an awesome kit, so generous!! All your time and effort is much appreciated. Hope you and yours have a very Merry Christmas. PS–have to tell you–I grew up in Ft. Wayne, IN and we had a large dept. store downtown. On the side of the building they would put up a display of santa’s sleigh and reindeer all designed with the “old” big christmas lights. As soon as I saw your sleigh and reindeer it brought back such fond memories. Thank you! I want to thank you for all the beautiful freebies you’ve shared and this lovely freebie. I’ve downloaded them all. I’m in the process of organising all my files in a way I can find them back so I will surely be using your freebies. I’ve added you to my google reader so I won’t miss one of your beautiful freebies. Wow, that really great and wonderful! I love it! Thank you for such amazing freebies-WOW! So much fun stuff to play with. My daughter will love the sleigh as well, since she thinks she gets to ride in one. Thanks again! Really fun kit to work with. Here is a link to a page I did. Thank you so much! This is one of the best Christmas kits I have seen! I love the reindeer!! Merry Christmas! I truly appreciate you sharing this beautiful kit. Merry Christmas & Happy New Year! How cute! Thank you very much and Merry Christmas! Wow! What a wonderful kit you are giving us! Thank you so much!! WOW!!!!!! WOW!!!! WOW!!!!!!!!!!!!!!!!!! What an awesome & generous freebie!!!! Thank You sooooooooo very much…hmmmmmm…you may not be able to tell that I’m pretty dang excited!! I gotta go unzip these files & start playin’, WOO-HOO!!!!!!!!!!!! What a fantastic kit, Min — thanks so much for all the goodies! Wishing you and those you love a very Merry Christmas and a wonderful new year! Your download does not like me. I have tried repeatedly sense I left my previous comments on December the 18th. I have been trying again repeatedly to get your so gorgeous Christmas holiday download with no success. I am on a higher speeds connection and normally get over one meg download even from other countries. I’d tried the download and the message says that it will take 1 hour and 45 minutes to download, but the percentage of download does not change. I am add a loss and just have to face the fact that I cannot get your fabulous part of this blog hop. The best to you and your family on this Christmas day, December 25th. You have that magic touch. It is 8:59 AM, EST, East Coast USA. Everything went through and I have the complete kit with no problems. My downloads speed was fantastic and compared to your stores most favorably. Thank you for this loving kit and for leaving the link is still available. Happy new year to you. This is an awesome kit, thanks for sharing.